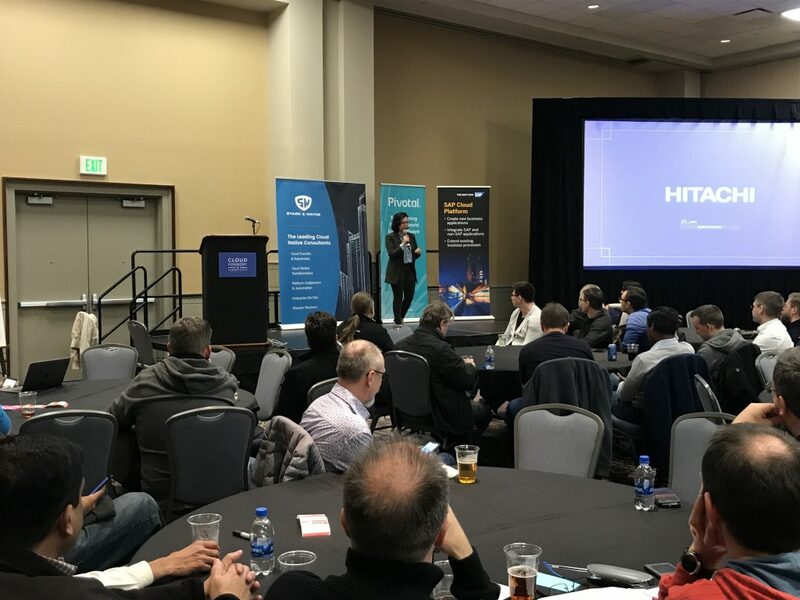 The Cloud Foundry Summit North America took place in Philadelphia this year. Round about 1000 visitors from all over the world found their way to this event. Besides all the great talks, hands-on labs as well as the interesting conversations with other attendees and we were also impressed by the exhibition hall. Since last year the CF Summit also honors those people who stand up for and help to enlarge and to expand their community. With the categories „Quiet achievers“, „Coolest user stories“ as well as „Advocates“ the Cloud Foundry Summit emphasizes the importance and rewards the performance of contributors to the well-being of the community, the success of its technology and events like trainings and the Unconference. These people are important to build the bridge to the CF community. Quiet Achiever: They usually work on the things that are fairly important (specifically for the project team or in general, for the overall community benefit). The Advocate: They are a champion of one or more of the Cloud Foundry technology, community or a specific initiative within the community (for example: making new contributor on-boarding simple, helping others amplify their presence in the community, making sure everyone feels welcome, etc.). 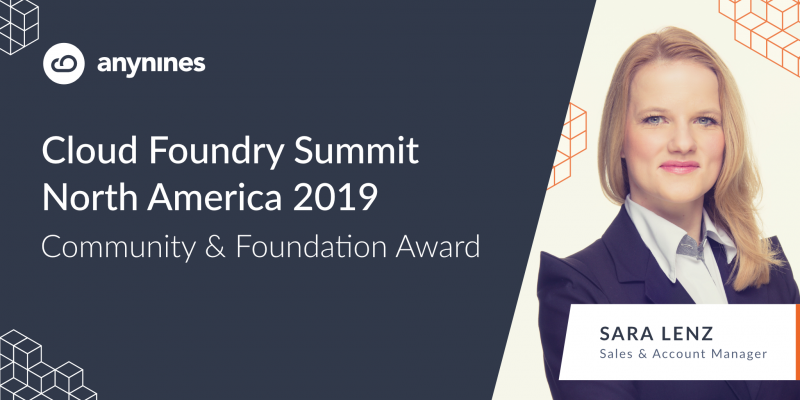 For more details read the article ‘Nominate Your Community for Cloud Foundry Summit Awards’ written by Swarna Podila (Senior Director of Community at the Cloud Foundry Foundation) about the Cloud Foundry Summit Awards. A new category was established on the Summit this year, the „Cloud Foundry Foundation Award“ This award is meant to emphasize the work behind the scenes of the related event to the main conference, known as „Unconference“. The Unconference is an event for the community and offers the opportunity for speakers whose talks may not have been accepted to the main conference but who now find a platform here to present their talks to an audience of 100-200 people. It takes place the evening before the CF Summits start in North America and Europe. How to become a winner of one of these awards? There is a fair and simple way: the community votes for you. It’s so great to see that the work and engagement is noticed by the community and that the CF Foundation provides such an opportunity. Find out more about the work behind the scenes at the CF Summit Unconference. This year it was my 4th Unconference as an organizer and I’m looking forward to the next Unconference in the Netherlands. It’s always a pleasure to organize the Unconference together with Ivana Scott from EngineerBetter. We both were completely surprised and still feel honored, that the community and the CF Foundation voted for us. Thanks to all of you. We’re looking forward to organizing the next Unconference in Europe. Be part of it, meet the community and attend the CF Summit Unconference at the beginning of September. See and meet you there.